Description: Skillmatics Doodle and Draw educational game for children gives the ultimate platform to unleash their inner creativity! Our activities are designed to encourage children to think out of the box and freely express themselves. 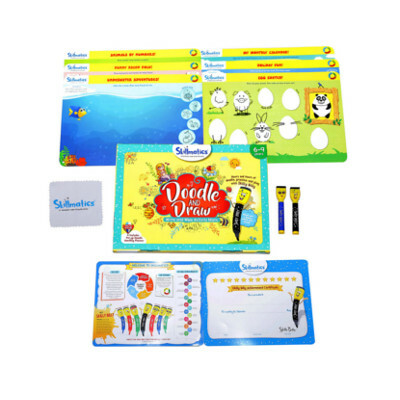 With our unique Write and Wipe format, we are certain your children and their friends will enjoy hours of doodling fun!